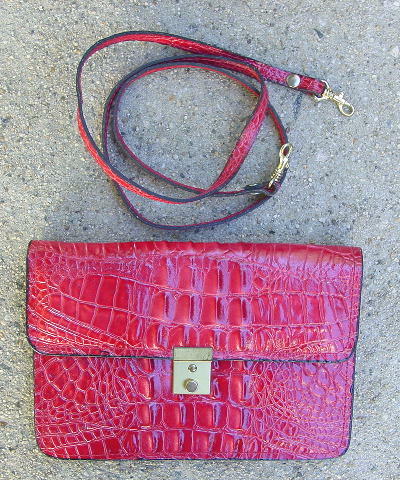 This vintage foreign made leather purse has an embossed crocodile pattern in a light red color. It has an envelope styling with a gold-tone metal closure (push down to open and press lid down to snap in place). The edges are all painted black. It has a 41" long by 3/8" wide matching leather shoulder strap which has hooks so that it can be removed so you can carry it as a clutch. 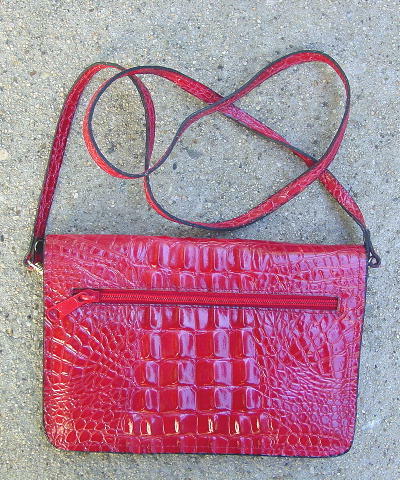 It also has a pullout 7 1/4" long by 5/8" wide wrist strap which is hidden under the upper lid. 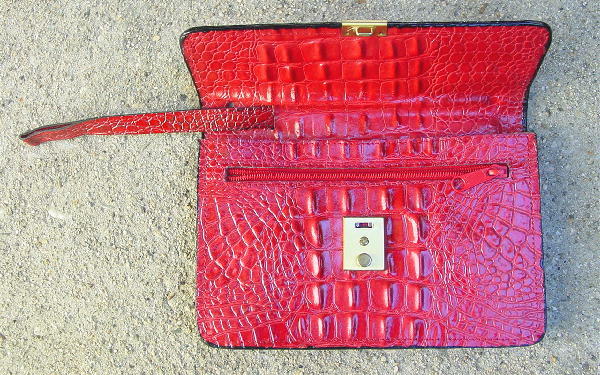 There are horizontal zippered compartments in the back and front. The lid when closed covers the front one. The interior and the compartments have a light brown brushed cotton lining.